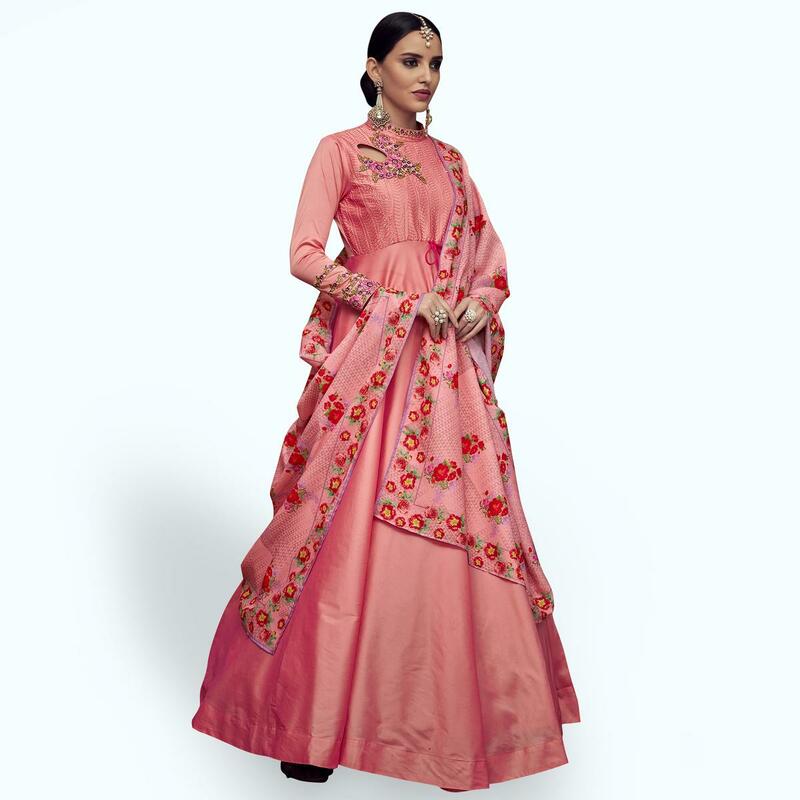 Precise attractiveness comes out through the dressing trend with this alluring peach colored anarkali suit. 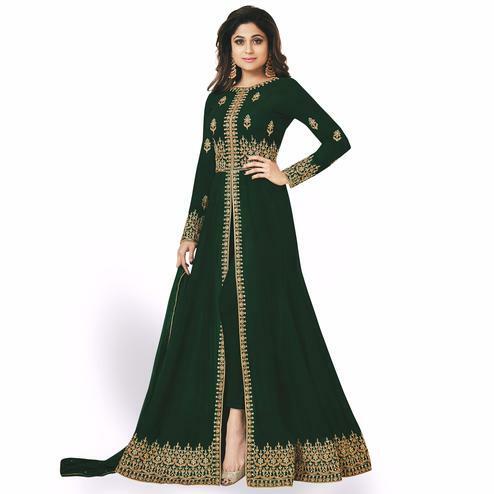 This stitched anarkali suit is made of tapeta silk fabric which has been adorned with elegant embroidered work along with amazing flare which makes this outfit perfect for any occasion. Accompanied with unstitched santoon bottom and digital printed muslin dupatta. 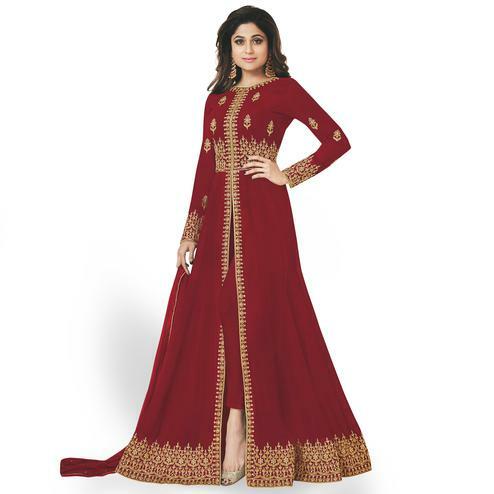 Best suited for wedding functions, receptions and special occasions, where you want to be center of attraction. Team it with ethnic accessories and heels to make your looks more beautiful. Buy this anarkali suit and earn lots of compliments from onlookers. Note:- The actual product may differ slightly in color and design from the one illustrated in the images.